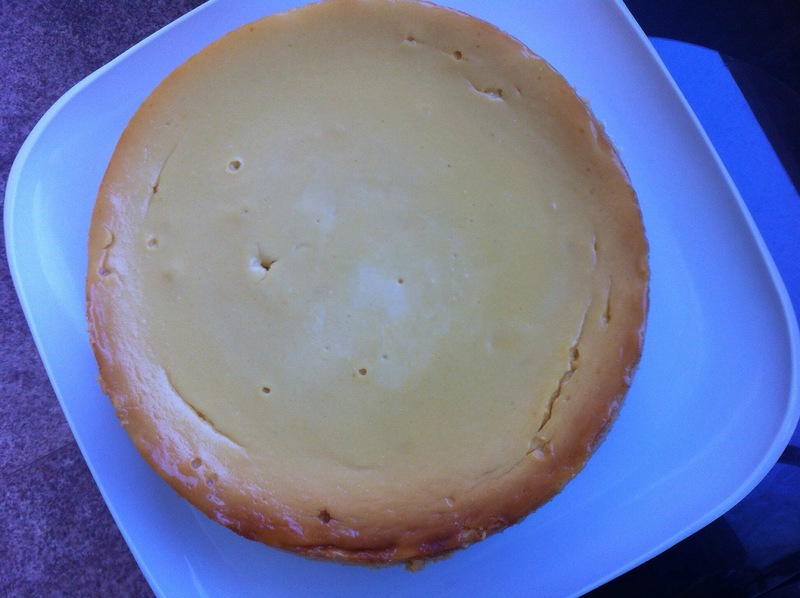 This was the first cheesecake I ever prepared in an oven. I was nervous about it because I wasn’t sure what the texture was supposed to turn out like. Thankfully it was not a waste of mangoes. I think it will be a while before I make this recipe again. The taste was sweet and a bit too much like a pudding than cheesecake that I’m accustomed to. I will probably try a chilled version of this with no eggs, to try and capture a truer mango taste. I made a chilled strawberry cheesecake once in the past (recipe pending) and the taste of that was as if berry yoghurt and cheesecake had made babies. It was nicer than this one…. 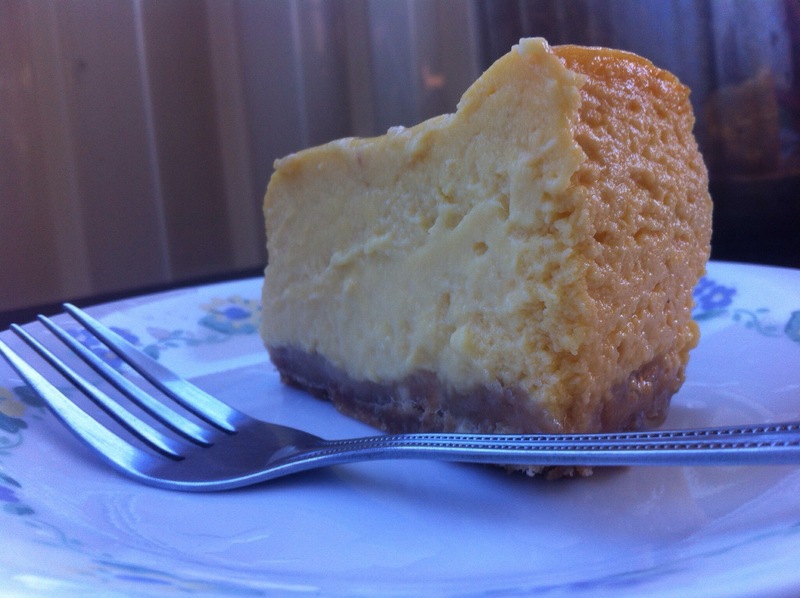 I used vanilla extract in this cheesecake and I think it overpowered the mango flavour, combined with the eggs. 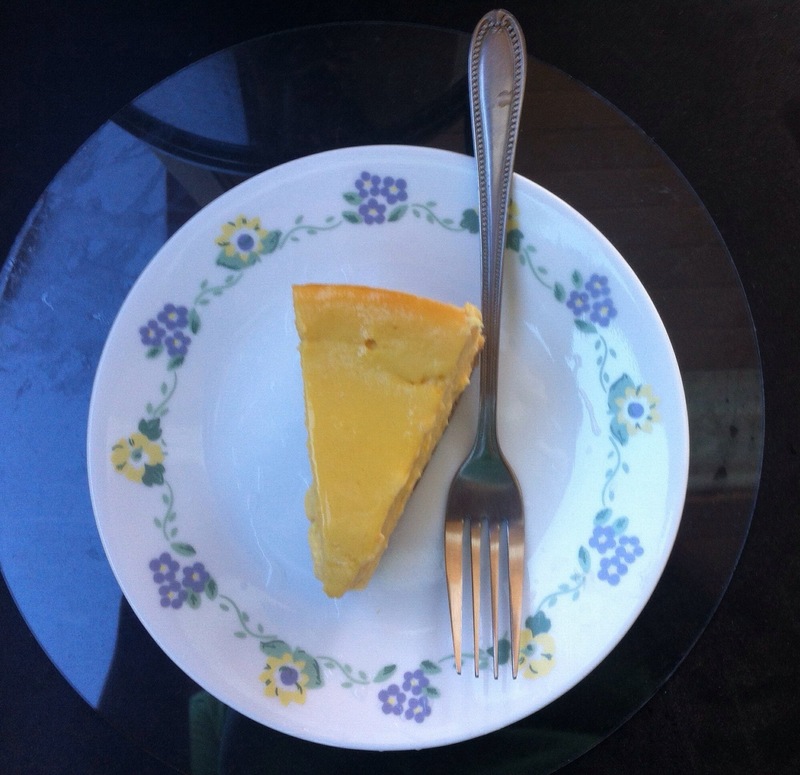 I liked this cheesecake as well, but as I said: it did not taste sufficiently like mango. 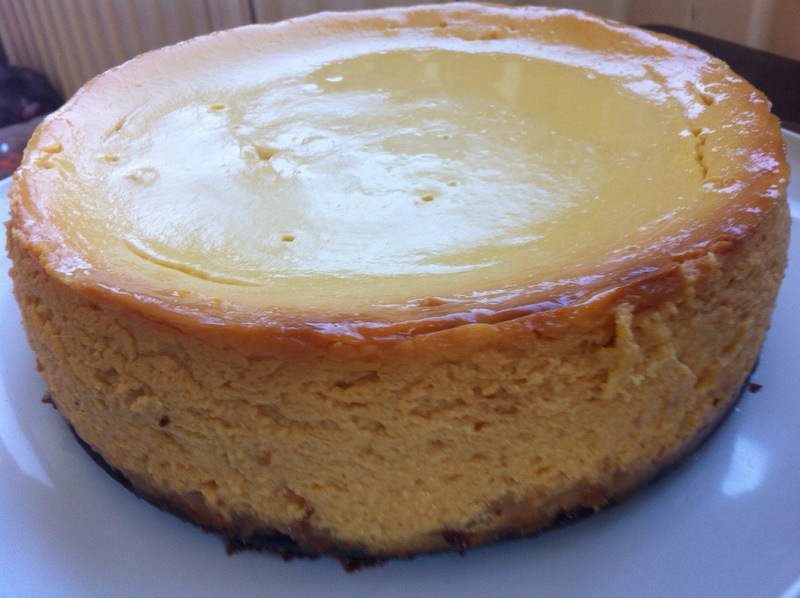 Does anyone out there have thoughts or advice on the fruit:egg ratio in baked cheesecakes? Preheat oven to 180°C. Grease a 22cm springform cake pan. Place the biscuits in a food processor and process until finely crushed. Transfer to a large bowl. Add the coconut and butter. Mix until well combined. Press evenly over the base and two-thirds of the way up the sides of the pan. Chill in the fridge. Cut up the mangoes and blend to a puree. If you don’t have a food processor you could use a blender. If you don’t have a blender you’ll have to cut them mangoes up reeeeeaaaaaaally finely. But seriously – use a blender. Beat together the cream cheese, sugar, cream and vanilla until light and fluffy. Add the eggs one at a time, mixing until just combined and then stop. Stir through the mango puree and then pour the mixture onto the biscuit base. 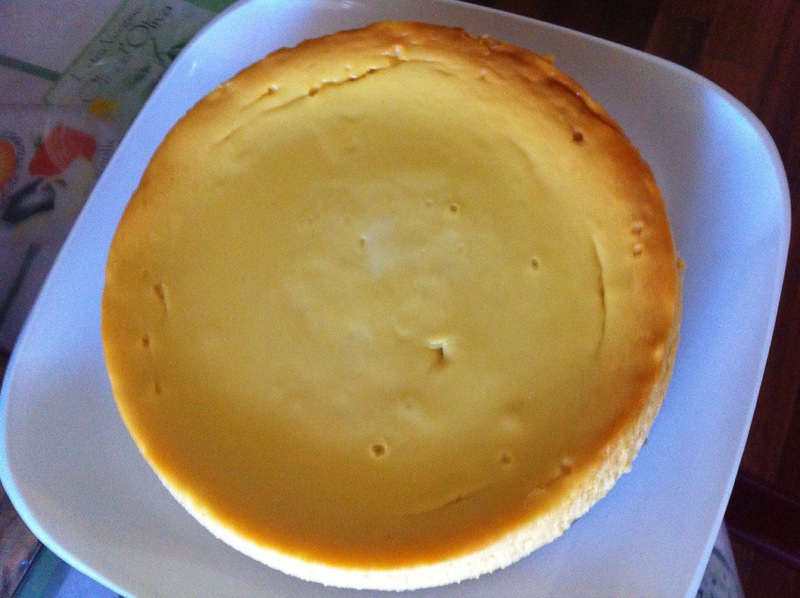 Bake the cheesecake for 1 hour. Allow it to firm up in the tin for another 30 minutes once removed from the oven. You can now chill it in the fridge or serve it straight away. If you triple the amount of biscuits and butter then you can make a high-sided crumb which looks really nice. You could garnish this with slices of mango or some mint leaves. The colour of mint complements the light orange of the filling so prettily. Previous Post Coconut hot chocolate. Next Post Creamy parsley and mushroom pasta. I hope you get to sample my creations sometime soon. Sabrina on Bangladesh 2015, Haul.